After months of speculation, Deutsche Bank and Commerzbank said they would explore a merger. 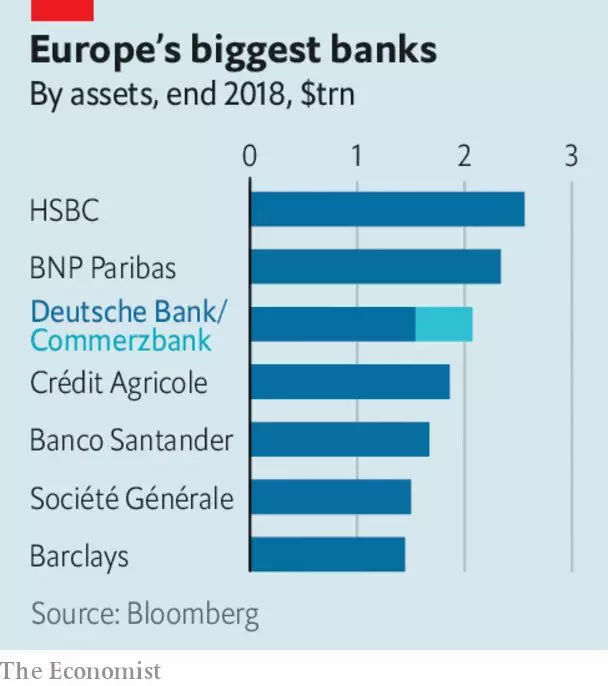 A combined entity would be Europe¡¯s third-biggest bank and hold about one-fifth of German deposits. The German government is thought to favour a tie-up between the Frankfurt neighbours. A deal faces many hurdles, not least from unions opposed to the potential 30,000 job losses. Lyft gave an indicative price range for its forthcoming IPO of up to $68 a share, which would value it at $23bn and make it one of the biggest tech flotations in recent years. Uber, Lyft¡¯s larger rival, is expected to soon launch its IPO. Bayer¡¯s share price swooned, after another jury found that someone¡¯s cancer had developed through exposure to a weedkiller made by Monsanto, which Bayer acquired last year. The German drugs and chemicals company has been under the spotlight since August, when a jury reached a similar verdict in a separate case. Anil Ambani avoided a three-month prison sentence when his brother, Mukesh, stepped in at the last minute to help pay the $77m that a court ordered was owed to Ericsson for work it did at Anil¡¯s now-bankrupt telecoms firm. Anil Ambani, who was once ranked the world¡¯s sixth-richest man, said he was ¡°touched¡± by his brother¡¯s gesture. AB InBev shook up its board, appointing a new chairman and replacing directors. The changes are meant to reassure investors that the brewer intends to revitalise its drooping share price and pay down the $103bn in net debt it accumulated in a spree of acquisitions. They also reduce the influence of 3G Capital, a private-equity firm that helped create AB InBev via several mergers. 3G¡¯s strategy has been called into question by mounting problems at Kraft Heinz, another corporate titan it helped bring about. The White House nominated Steve Dickson, a former executive at Delta Air Lines, to lead the Federal Aviation Administration. The FAA is under pressure to explain its procedures for certifying Boeing¡¯s 737 MAX 8, which has crashed twice within five months, killing hundreds of people. It has not had a permanent head since early 2018, in part because Donald Trump had mooted giving the job to his personal pilot. BMW said it expects annual profit this year to come in ¡°well below¡± last year¡¯s. Like others in the industry, the German carmaker is forking out for the technologies that are driving the transition to electric and self-driving vehicles; it unveiled a strategy this week to reduce its overheads. The European Commission slapped another antitrust fine on Google, this time for restricting rival advertisers on third-party websites. The €1.5bn ($1.7bn) penalty is the third the commission has levied on the internet giant within two years, bringing the total to €8.3bn. Industrial action by French customs staff caused Eurostar to cancel trains on its London-Paris route. The workers want better pay, and also more people to check British passports after Brexit. A study by the British government has found that queues for the service could stretch for a mile if there is a no-deal Brexit, as Brits wait to get their new blue passports checked. Passengers got a taste of that this week, standing in line for up to five hours because of the go-slow.